A selection of old picture postcards of windmills in Russia. 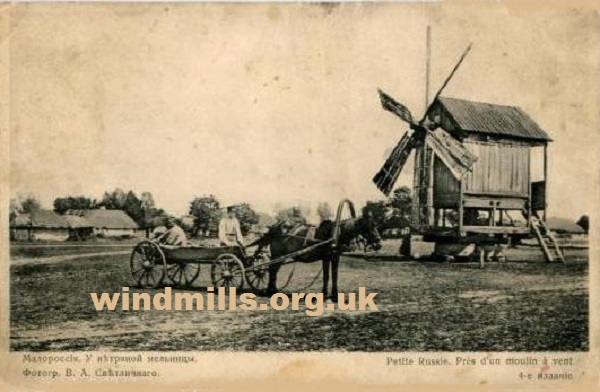 A very early picture postcard of a windmill in Omsk, Russia. 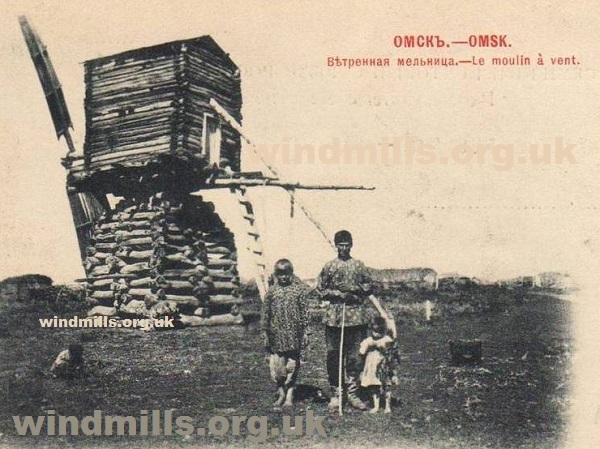 A pre-World-War-One postcard depicting a windmill in Russia. 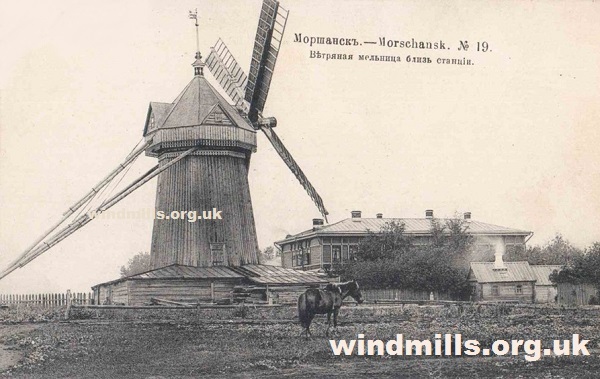 An old postcard featuring the windmill and railway station in Morshansk, Russia. 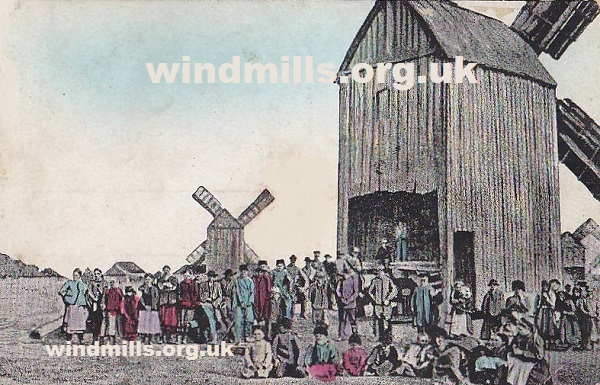 A postcard mailed in 1910 of two windmills and a gathering of peasants somewhere in Russia. 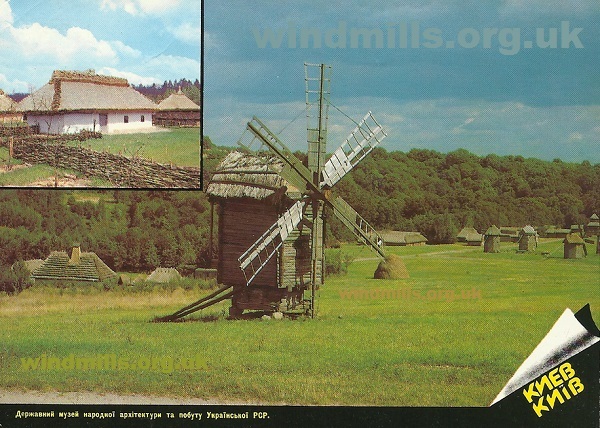 A vintage Soviet-era postcard featuring a windmill at an open-air museum.